We are raising awareness of cancer symptoms and screenings amongst people with learning disabilities and their families and carers. We are part of a local partnership taking part in Be Cancer SAFE (Screening, Awareness, Fast and Early), a community-based approach to improving cancer survival in the region. The partnership, which includes Sheffield Carers Centre and Sheffield Mind, will deliver the campaign messages to three target groups: adults with learning disabilities, carers, and people with mental ill health. 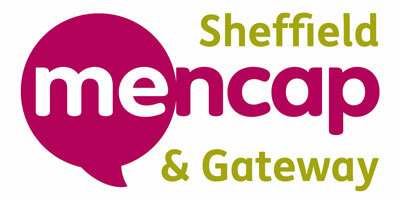 Sheffield Mencap & Gateway will specifically target adults with learning disabilities and their parents and carers. Natalie Shaw, our Office Manager, has trained to become a Cancer Ambassador, learning how to tell people about the signs and symptoms of cancer and the screening that is available. She will now pass this information on to our team, making them Cancer Champions and enabling them to carry on spreading the message. Natalie is also holding a series of Be Cancer Safe days here at Sheffield Mencap & Gateway. These days are free to attend and are open to all, including people with a learning disability, their families, carers and support staff. Natalie will host an information stall where she will be distributing information packs and be available to answer questions. We will have cake and hot drinks available so you can come along and learn more about the signs of cancer and how you can stay cancer safe by attending regular screenings, in a friendly and relaxed environment. Thursday 27 June 12pm-2pm and at Under the Stars in the evening. Be Cancer SAFE is coordinated by South Yorkshire, Bassetlaw and North Derbyshire Cancer Alliance. The campaign has been set up because more people in the region are diagnosed with cancer than the England average. The three target groups have been identified as having a low awareness of cancer symptoms and the screening that is available. In 2017, the Royal Mencap Society reported that cervical cancer screening is much lower for women with a learning disability (30%) than in the general population (70%). More generally, the average life expectancy of women with a learning disability is 18 years shorter than for women in the general population. The life expectancy of men with a learning disability is 14 years shorter than for men in the general population[i]. “The word ‘cancer’ can cause real anxiety amongst people with learning disabilities so how this information is communicated is extremely important. Additionally, people with learning disabilities generally have poorer health and visit their GPs regularly when unwell. Encouraging them to go when they don’t actually feel ill is therefore confusing and can cause stress and anxiety. To find out more about Be Cancer SAFE visit the website: www.becancersafe-nd.org and if you work with, care for or support somebody with a learning disability and would like Sheffield Mencap & Gateway’s Cancer Ambassador to deliver a talk to your team, contact: cancerambassador@sheffieldmencap.org.uk.